We’ve always been dog-lovers in our household, having as many as three at one time. I grew up always having one or two poodles in the house, so when I was finally out on my own the apartment felt empty without a dog underfoot. While living in California we decided it was time to adopt a dog and were fortunate to find an American Eskimo puppy. A year later a second one, and shortly thereafter we began doing rescue work and became a foster home for the breed. California has a strict 3-dogs-per-household limit, otherwise we would have probably ended up with more. We eventually placed all the fosters and ended up keeping a wonderful Chow we rescued running down a highway. With three permanent dogs at home now our rescue days were done. Our dogs have all passed and once again our home is empty (with the exception of a noisy parakeet). We regularly get our “dog-fix” by walking to our local dog park and petting the dozens of dogs that regular play there. We also enjoy interacting with the animals that people bring with them to the farmer’s market and pet stores, but it just isn’t the same as curling up with man’s best friend on the couch. We realize our current lifestyle probably isn’t the right environment for another dog as we really aren’t home all that much. Between school, orchestra, travel, dining out, sports, etc., any dog would be left at home alone – and we would feel guilty about that. We told you about our youngest daughter, who last Christmas only asked for one thing on her list: food and gifts to take to the local animal shelter. It was an amazing experience and one she came up with on her own. She’s always had a soft heart when it comes to animals (not so much towards her sister), so when she elected to give up Christmas gifts for herself so the animals could have something, how could we deny that? 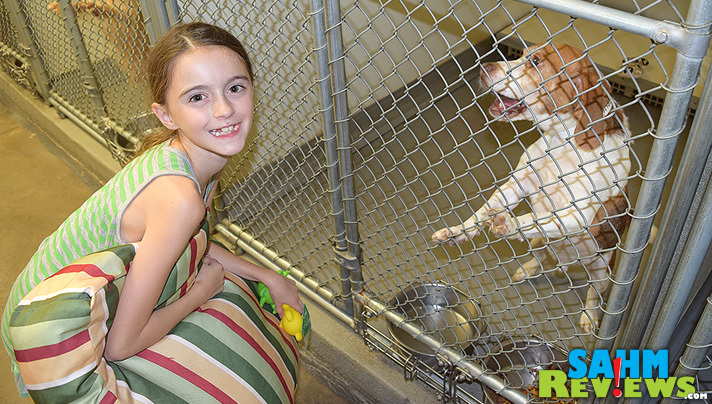 We collected the gifts and took her to the shelter where they even let her decide which animal would receive what. Quite honestly we thought it was a one-time deal that she had gotten out of her system. Little did we know that she would also ask for the same thing for her birthday in September! 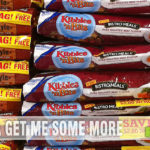 This time we decided to go big and get the best value for our money at Sam’s Club. There were so many choices, but in the end we went with our tried-and-true brand of Pedigree dog food. As a bonus we learned that Pedigree is donating one bowl of dog food to a shelter in need when you purchase their products at Sam’s Club during the month of October! Shelter animals need more than just food to make their stay at the shelter as comforting as possible. 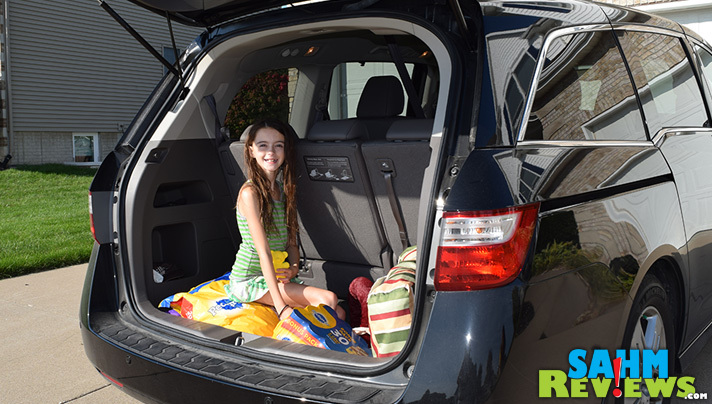 Thanks to a generous Uncle (and soon-to-be-Aunt) who gifted her pet beds and toys to take, we were able to completely fill the back of our van! We are fortunate to have a well-run (and clean) shelter in our community. 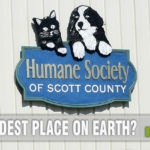 The Humane Society of Scott County’s mission is “to provide humane care for all of the lost, abandoned and unwanted pets in Scott County, to adopt these pets to caring, responsible, life-long homes and to educate the community about responsible pet ownership.” But no matter how many grants, volunteers and donations are received, there are always dogs and cats that need new homes. And while we brought plenty of food, toys and beds for the dogs, we also couldn’t neglect some of the other animals in the shelter. While there are currently under a dozen dogs at the Humane Society, there are over two dozen cats and at least six rabbits! On the outside (like all cats), they didn’t seem to care. But we knew deep down they want a forever-home also. 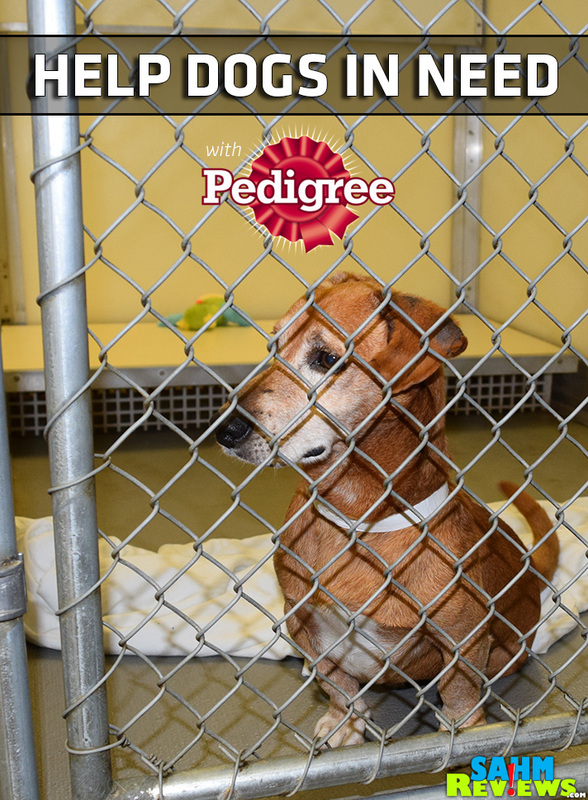 Please join us and Pedigree in giving back to those wonderful animals that bring us so much joy and attention. Consider giving your child a gift to donate instead of a toy or game that they’ll get tired of in a week. And one last plea – help spread the word about Pet Adoption Month by sharing this photo on social media. The weiner dog will love you for it! Love this, and I love dogs! If I could have one where I currently live, I would totally adopt one! I love this. It’s fantastic and an awesome way to give back. I wish I could take them all. My dog is a rescue (off of craigslist though). I adopted my cat from the local kill shelter to save a life. I love that Pedigree is helping pets. 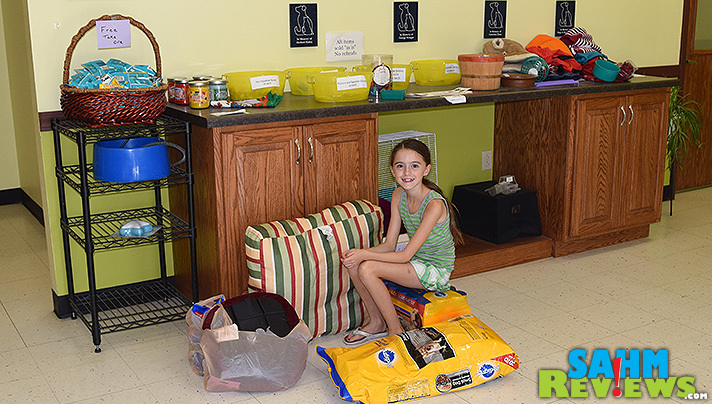 It is so great that she chose to help pets instead of getting gifts herself. Such a great post. I love my four legged friends. Both of them we have gotten from them getting drop off. I have had 3 dogs in my lifetime-one of them an American Eskimo! The other two were adoptees. I now live in a building that doesn’t allow pets but I snuck one in when I moved here and after he passed I adopted another one. I can not imagine life without some type of warm and furry body hanging out with me. I am glad to know about Pedigree and what they are doing–I will see if my finicky as all get out cat will eat it! We had two Eskimos and loved them so much. They’re such a fun breed, even if they do leave their white hair everywhere! I wish my family could adopt a dog! My kids and I would love one, but my husband is allergic. He is allergic to cats, too, so we only have a goldfish! Just fed my dog before I read this. She was a rescue. I still can’t believe when I think of it that someone once abandoned her on the road… took off all her tags and left her near a wildlife area with coyotes and other animals that could have killed the little thing. Rescuing her was the best thing I could do for both of us. She is a blessing of unconditional love every single day… plus she makes me go for a walk every day, which God knows what my health would be otherwise. It’s always important to think about our four legged friends! I’ve got a few cats of my own! 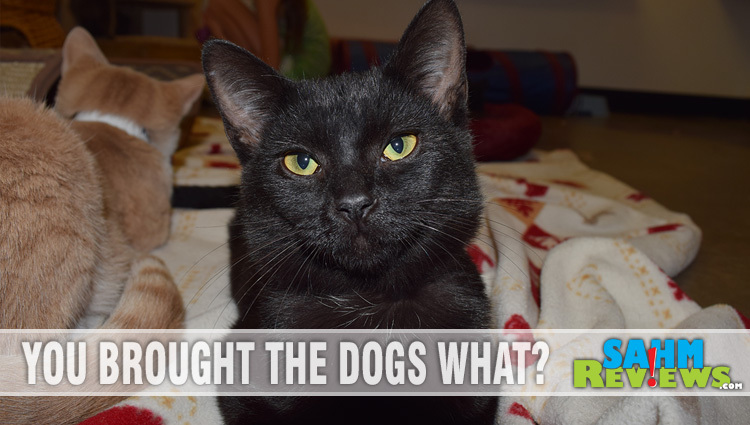 I love this campaign because the dogs in the shelter’s rely on donations in order to eat. Without food they don’t get the proper nutrients. My oldest dog was a pound puppy (she is the best even though she is grumpy). Our dogs also enjoy Pedigree dog food. oh this was such a great thing ya’ll did. Looks like your daughters were having a ton of fun showing the animals what they brought them. I can’t wait until we can have pets again. This campaign is awesome we’d love to support too. Wish we can adopt a dog for my son really loves them but currently not allowed in our building. My husband I I both grew up in homes with dogs and cats…when we got married our apartment was no pets , by the time we bought our own home my daughter was 2ish and we asked what she wanted for her birthday “A kitten from the shelter! !” Thats what we did it’s so great to see the love for animals in you children as well. I love that Sam’s club does that with the food. I miss having a dog here at home. It’s been two years since my beloved pet passed away, but I still couldn’t bring myself to get a new one to replace him. I remember going to the rescue every week! I wish that they could all find a good home. I wish we could get a dog and I want that little one in the last photo – so cute. My daughter’s allergies and asthma forbids pets. This is one of the best blog posts that I have read. So much information. We have two dogs. I wish we could get a cat but we have allergies and seems to really get bad around cats but not so much dogs. This is the cutest and giving thing I have ever heard. Kudos to you for raising a wonderful girl like your daughter and her for being so selflessly giving to the animals in need. Also Kudos to Pedigree for all their help too. Thanks for sharing. I’m a shelter mom and have nothing but rescue or shelter animals my whole life. I prefer dogs over cats, but I’ve had some special cats too. 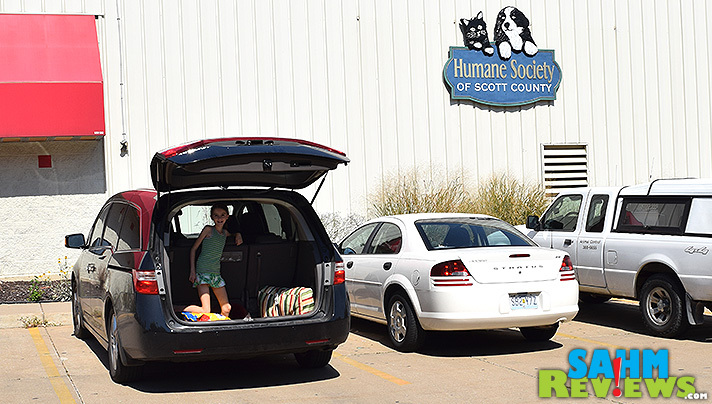 My daughter went to the humainsociety’s summer camp last year and really enjoyed learning about how to help te animals. Oh my goodness they are all so cute. I’ve had a cat and dog before. I was highly allergic to the cat so we sent him down south with my family. He lived a long full life. My dog passed about 7 years ago. Pet’s can certainly become a part of the family. We miss him so. I try to donate from time to time because my son is also allergic, so having a pet is out of the question. Excellent post and cute pics! I think it is great to adopt a dog. We recently took another family member. A little girl was giving away puppies at the store and my husband couldn’t resist. Great initiative! We don’t have any pets in the house right now because our kids are too young to take care of them but we’ll definitely look into this when the time comes. I think my parents are looking into adopting from either a refuge or from a local shelter. I got my cat from a refuge and she is such a sweet heart. I love that you gave back like this! We have 2 kitties that came from our local shelter. It’s the best place to get a pet. I loved this campaign! What a great story and a great initiative from Pedigree. What an awesome cause! I’ll have to remember this when we’re giving gifts this season. Great campaign! I always bring an extra bag down to our shelter because I know how hard it is for them to get donations! More people need to be aware! My cousin and friends would love this – they are dog lovers and owners. If I could have a pet I would definitely want a dog 🙂 What a wonderful read and great thing that Pedigree is doing! Thanks for sharing this with us. Fantastic review Nicole!!!!! Loved this post as I am a big animal lover 🙂 Thanks for sharing!! What a great campaign. I love animals and so many are always in need of love and support. Best wishes for your continued success. What a delightful idea to donate to the animal shelter. We don’t have animals because our life is not conducive to it. There are those awful commercials that show the neglect animals. I can’t watch those commercials and always change the channel. Maybe i can donate a bag of dog food and help some of those animals. What a wonderful idea. I remember my son at age 8 asking me if its good to really love a new pet, cause they will die. (we had rescued a dog that died of parvo because shots had been neglected). I told him better to give it all our love cause we dont know how long a pet or person has. He has grown into a fine father & human being and has rescued dogs. I miss not having a dog . Great heart warming post. I’m so proud of you and your decision to adopt this way. Rescue dogs are the best! Abbie is one, and I’m happy she found me! I was raised with the lesson: Feed your animals before you feed yourself. That’s literal and figurative. That means before you sit at the table with food, you make sure your pets have been fed (literally). 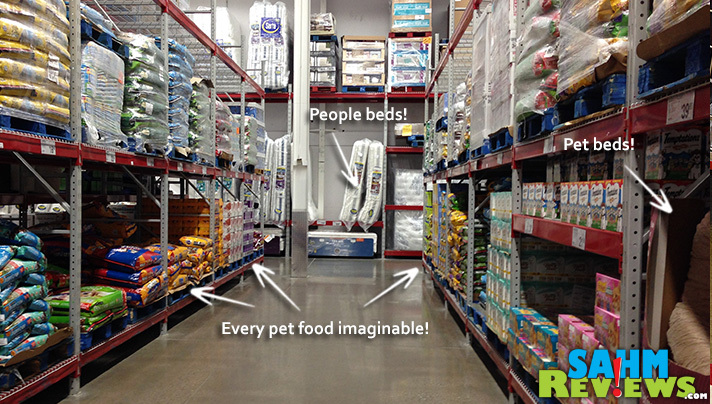 It also means if you can only afford food for one, it’s for the pet and you go hungry. I’m certain you’ll be a great dob owner, and congratulations! Love this, your daughter is great to be doing this and see the value so young of giving to something who has more needs then hers. So many people could learn this lesson. I’ve always had a dog in my live through my parents. Now I have my own standard poodle and can’t image life with her. What a wonderful idea your daughter had! It is so precious. We lost our 2 Anatolian Shepherds during the past year. They were half brothers and been together all their lives. The first one died last Sept and his brother in June. Now we have 2 half brothers… minature schnauzers. We went with small dogs for the first time. They are keeping us busy. I’ve only had 1 rescue dog. It was a Bouvier. She was so, so attached to me because I was the one who rescued her out of the shelter. Such a faithful friend. Great article! Wow, Thanks for sharing this wonderful story. Your daughter is an amazing young lady. There are so many animals out there that need good homes. I do encourage people to adopt if they can. It makes me so very sad to see the commercials on TV about the neglected animals. I have 5 cats and I rescued 2 of them from our shelter in my area. Two of my other cats would have ended up at the shelter if they didn’t find a home. People were moving and couldn’t take them. So needless to say I think adoption is awesome! Thanks for the article and great pictures! This is an awesome story. Most of my pets have come from shelters. Either that or they showed up at my house and refused to leave – even after posting images all over the place looking for their rightful home. If a dog comes and hangs out every day for a month, only then do I start feeding it and considering it mine. Giving is such a great quality. What a wonderful story and kudos to your family! I love the smile of your daughter’s face in the pics! Thank you for sharing! Your daughter sounds like a real sweetheart. I think it’s a great idea to adopt a dog. We always got our animals from the shelter, our last one just past away a year ago and I’m still not over it so we’re waiting a little while before getting another, but when we do, we’ll go to the shelter for sure. The very first dog my family had been a rescue and she was the sweetest dog that ever lived. You have inspired me to want to give back as well.